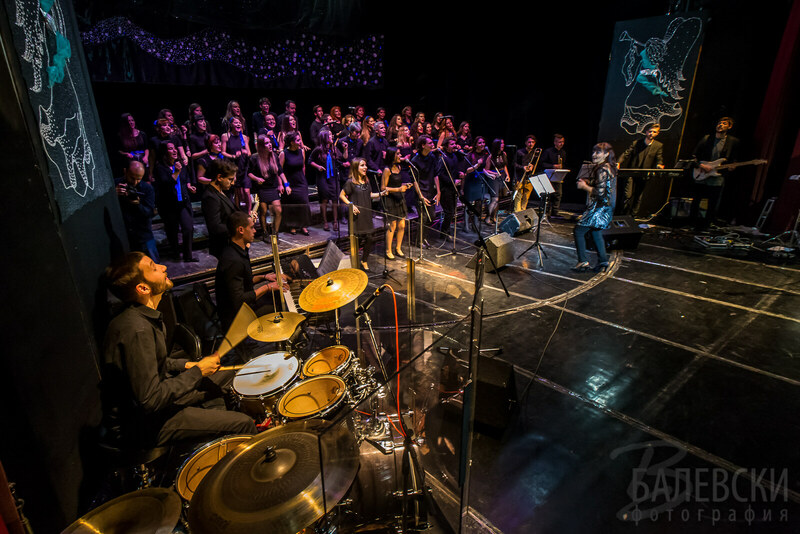 On the 20th of December in the Youth Theater “Nikolai Binev” in Sofia was held the third Christmas concert of Sofia Gospel Choir. The program included traditional Christmas hymns, a cappella songs as well as contemporary gospel songs. 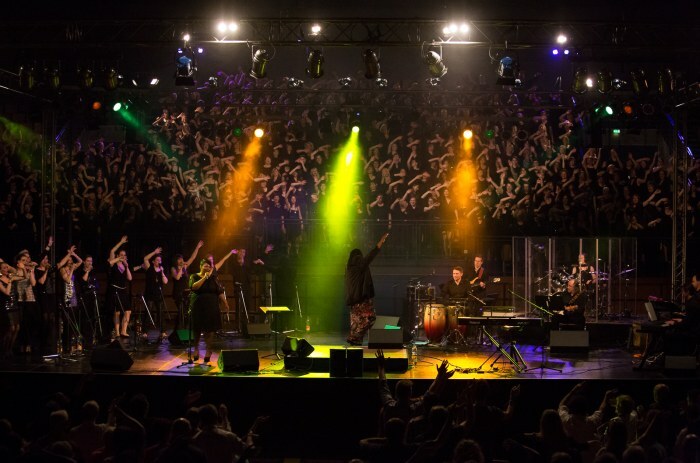 We performed some original compositions one of which was the song “Not unto us, Lord” with lyrics from the Psalms in the Bible and with folklore motives. The solo was performed by the folklore singer Kristina Karamfilova, accompanied by Veli Chaoushev (mandolin) and Gennady Rashkov (drums). 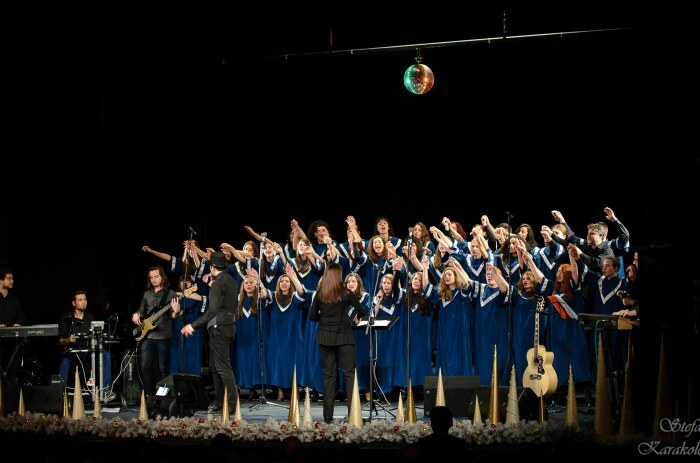 During the concert was presented the “Christmas song” – written and performed by the young Bulgarian rock group SEVI and with the participation of Sofia Gospel Choir. 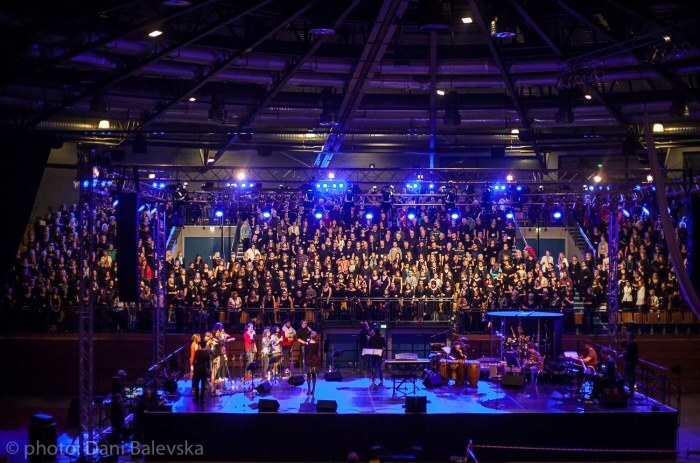 The audience was on its feet hearing the amazing performance of the choir and the solo singer Steven Achikor – a participant in X Factor Bulgaria, as well as the young singers Slavina Kalkandjieva and Poli Spiridonova. class="pirenko_portfolios-template-default single single-pirenko_portfolios postid-321 samba_theme samba_left_nav samba_left_align samba_responsive wpb-js-composer js-comp-ver-5.1 vc_responsive"